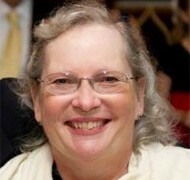 Kathleen Considine, M.S.W., is a family member. 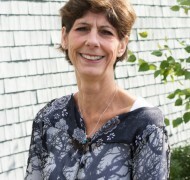 Kathleen serves on the Executive Committee of NAMI Mass, where she chairs its Support & Education Committee, as well as on various mental health advisories, including the Plymouth Mental Health Court, the Plymouth County Jail, the Plymouth School District and the Plymouth Coalition for Suicide Prevention. 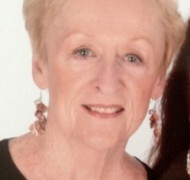 She is a long-time teacher of the NAMI Family-to-Family Course and a trained NAMI “Basics” Educator. Kathleen facilitates a semi-monthly support group for family caregivers for NAMI Plymouth. Marian A. De La Cour, B.S.N., M.L.S. Marian began her nursing career at the Loeb Center for Nursing and Rehabilitation in New York City where she worked for three years before completing her degree in library and information science at SUNY-Albany. Her bachelor’s degree in nursing was earned at Hartwick College in Oneonta, NY. In total, Marian worked for approximately 20 years as a nurse – sometimes working as both a librarian and a nurse concurrently. She currently lives in Buzzards Bay with her husband and is the mother of three adult children and a grandmother. Marian served as the medical librarian of Beth Israel Deaconess / Plymouth Hospital from 1987 up until her retirement in 2017. Her responsibilities there included serving the hospital’s professional medical staff but also providing the surrounding area with reliable evidence-based resources for community health that is both easy to read and understand. She works part-time at Gosnold. Health literacy has been a passionate interest of Marian’s for many years. Her position with South Shore Community Partners and Prevention helps her create a positive interface between the hospital and the area community. She believes that a person’s health is positively impacted by the amount of good health information that is provided to them. 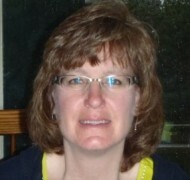 Nancy DeLuca joined Health Imperatives in March 2015 as the manager of the Plymouth and Weymouth Family Planning sites. Health Imperatives’ mission is to improve the health and well-being of low-income or vulnerable families and individuals in Southeastern Massachusetts. Health Imperatives provides public health and human services to more than 30,000 families and individuals in Southeastern Massachusetts, the Cape, and Islands each year. Programs are based on five fundamental health imperatives: health access, health literacy, cultural competency, advocacy, and prevention. Programs include reproductive health services, family supports, nutrition assistance, a domestic violence shelter, sexual assault counseling and services for lesbian/gay individuals. 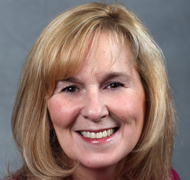 Nancy’s diverse healthcare experience includes medical practice management and laboratory accreditation. Nancy was the program manager of the DPH funded Women’s Health Network/Men’ s Health Partnership Programs at Signature Healthcare Brockton Hospital for ten years. During this time, she was an active member of the Greater Brockton CHNA 22 and served on the steering committee and as vice chair. Policy Commission. Her department was tasked with reducing 30 day hospital readmissions for individuals with dual insurance eligibility. She currently works supporting the resource needs of both the Inpatient and Outpatient Case Management teams. 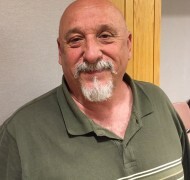 George Gorgizian is the Infectious Disease Coordinator at the Plymouth County House of Correction. He has been CHNA 23 member since 2003 and served as a steering Committee member throughout his time with the CHNA. George believes that all should have a voice in the decisions that are being made in the community that affect how one or many people will live or thrive. He will bring to this CHNA a vast amount of thought, knowledge, caring and experience that will hopefully help extend all of our abilities to do great things for our community. Elizabeth Haughn is currently a graduate student in the School of Social Work at Boston University. She is currently interning at Cape Behavioral Health. Liz is an active member of the Plymouth DMH Board and is a strong advocate for individuals and family members with a mental health diagnosis. Liz believes that access to programs should be simpler and dedicates time towards this goal. Elizabeth’s background is in child development, she enjoys collaborating to help programs work together and create and support what all families and children need. 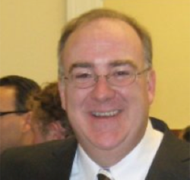 Michael Jackman is the District Director for Congressman Bill Keating (MA-09). He has served in this position since January 2011. Prior to his federal service, Mike was the Director of School Programs for the Norfolk District Attorney’s office (2002-2010). In that capacity, he worked with school personnel and community groups to develop substance abuse prevention, domestic violence awareness, and bullying prevention programs. He also served as Chair of the Blue Hills CHNA (CHNA 20) and Vice –Chair of the Greater Brockton CHNA (CHNA 22). Siobhan McKay is a Registered Nurse for the Department of Developmental Services in the Plymouth Area Office. She started her nursing career in 2008 working on a 32 bed cardiac medical unit. Wanting more of a care continuum role with patients she started providing health care coordination at a residential agency for individuals with developmental disabilities. For the last seven years she has worked for the Department providing consultation, education, safeguarding and advocacy for individuals with intellectual and developmental disabilities. Siobhan has been a member of the CHNA since 2011 and a member of the Health Literacy subcommittee for the past several years. 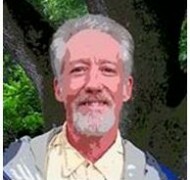 Jim O’Neil is a pharmacist by training and has held a variety of positions throughout his career. After graduating from Northeastern University with a B.S. in 1978 he worked in Hospital Pharmacy practice for approximately 20 years with the bulk of that time spent in Clinical Pharmacy practice both supervising the clinical responsibilities of the Pharmacy Team as well as developing clinical care programs involving pharmacy practice. In 1996 he obtained his Doctorate in Pharmacy through Idaho State University. For a dozen years thereafter he worked in Clinical Drug Development and Medical Information Services for two major Pharmaceutical firms. Jim is presently putting his efforts into establishing a non-profit clinical practice which will provide Community Outreach programs on Health Literacy and Disease Awareness as well as Medication Therapy Management and Patient Advocacy services. Beth Israel Deaconess Hospital-Plymouth (BID-Plymouth) is one of the leading community hospitals south of Boston and provides high-quality, patient-focused care to more than 250,000 residents on the South Shore and Cape Cod. CHNA 23 receives funding from BID-Plymouth, as part of the community health investment that is made when hospitals expand their services and invest in clinical technologies. In her role as Manager of Marketing and Communications and Chief Community Benefits Officer, Deborah Schopperle represents BID-Plymouth in the community and internally within the hospital. 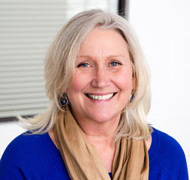 Throughout her career as a senior manager in marketing communications, Deb has been consistently recognized as a results-driven, savvy professional who is committed to high standards and excellence. She brings her experience to CHNA 23 to assist its efforts in meeting the needs of our vulnerable population. “I am interested in continuing to be on the Steering Committee because I believe in reaching out to the community and helping to identify the needs and work that needs to be accomplished. I feel privileged to be working with outstanding and committed professionals on the committee. They share the same passion.